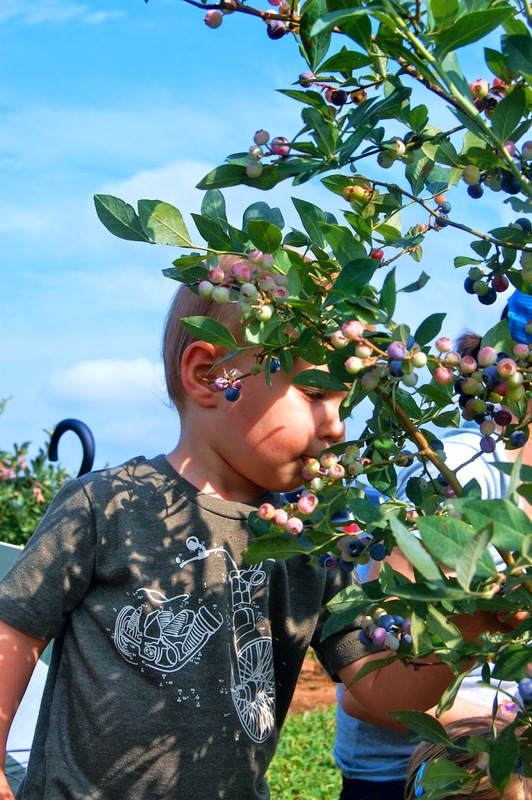 One of my favorite children's book is "Blueberries for Sal" by Robert McCloskey. I have such fond memories of reading that book when I was a little girl. I started reading it to Noah when he was very little, and it quickly became one of his favorite read alouds. 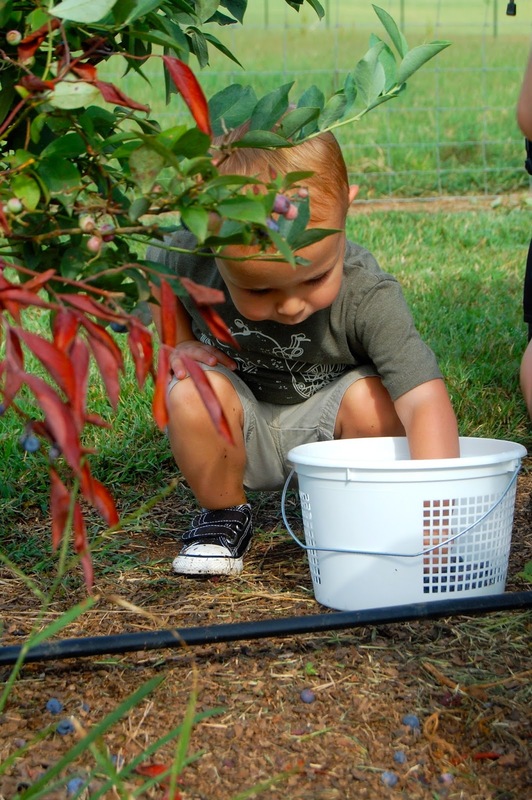 Both of our favorite parts is when little Sal drops her berries into the bucket, "kerplink, kerplank, kerplunk" (the sound of the blueberries hitting her tin pail). 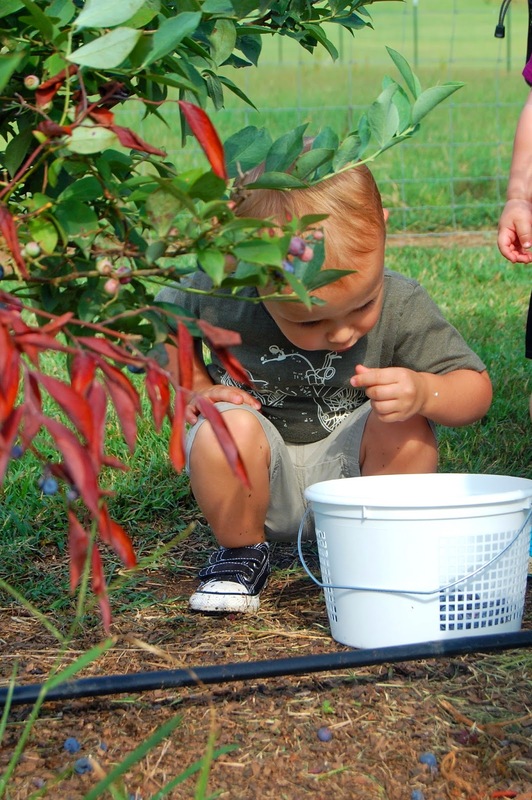 I have been looking forward to taking Noah blueberry picking for quite awhile now! 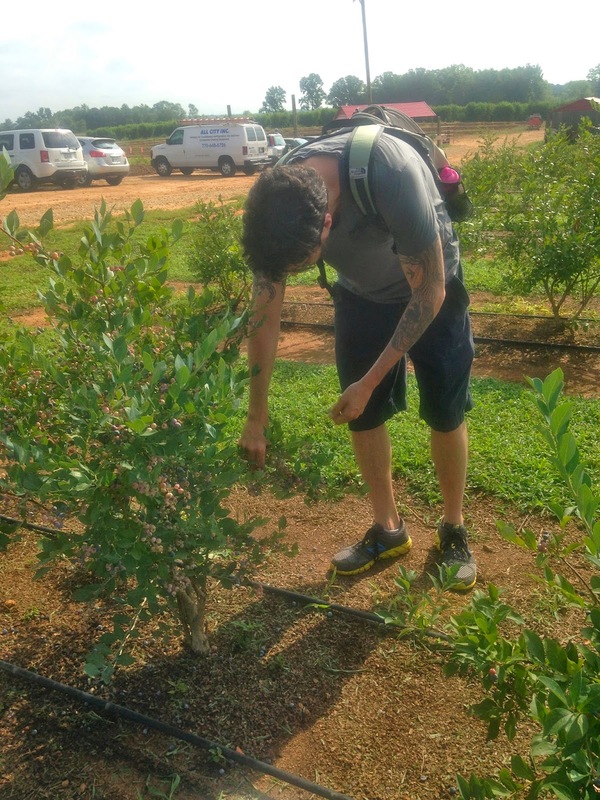 a picture of Sal in "Blueberries for Sal"
So, today we went blueberry and blackberry picking at Southern Belle Farm in McDonough, GA. 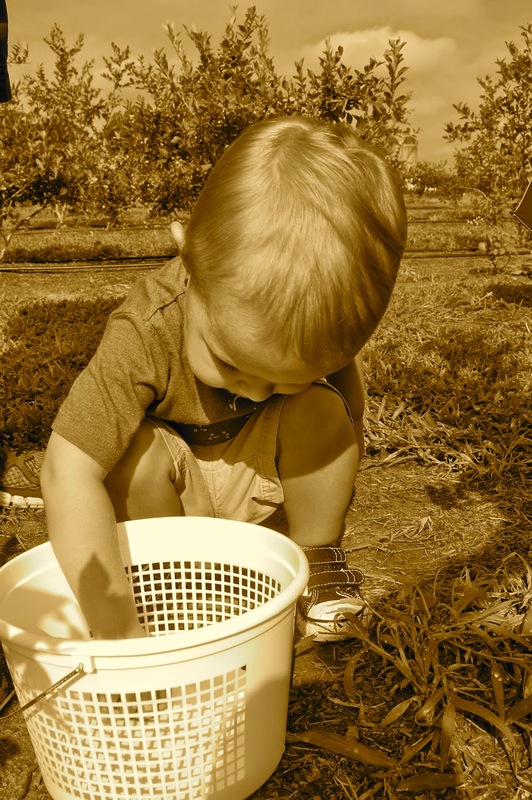 This was Noah's first time picking, and he seemed to really enjoy it. Noah's best friend, Emma, came too which made it even more fun for him! However, they both did more eating then picking! ;) We picked for about 40 minutes, and then soon realized that the summer heat was getting the best of us. It sure was hot even at 10am! 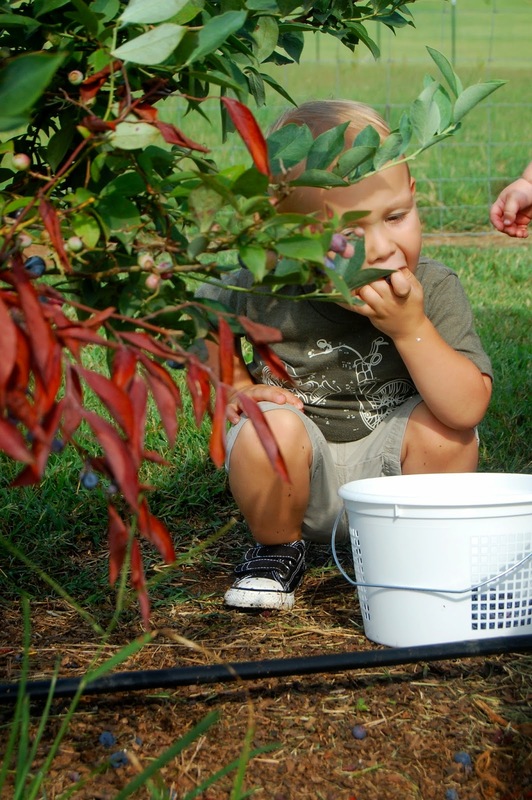 The kiddos quickly ate some lunch and then we picked a few more berries and headed home. 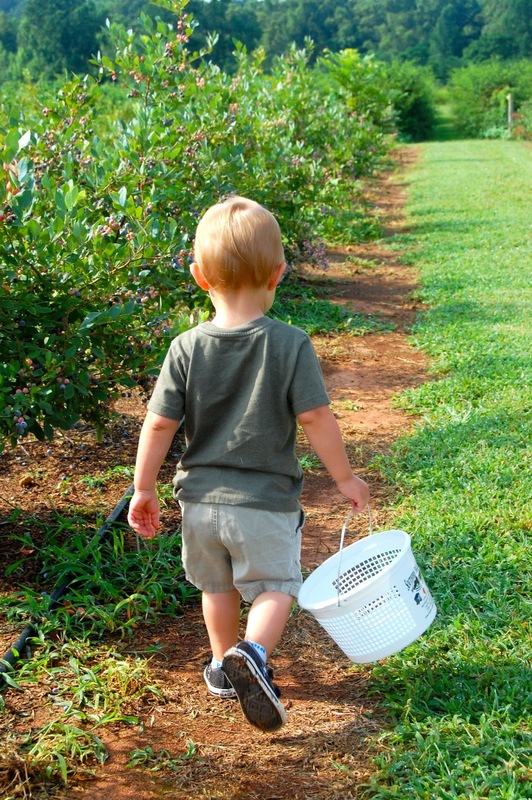 Even though we spent more time in the car getting there and back then we did picking, it was a great time!! Enjoy the photos!